Hmmmm… now that was a a big task for me, because everytime I cook chicken I just put in all the spices and other ingredients just according to my instincts….. And now to please everyone at the party, I had to be a bit more careful. And finally the outcome was pretty good. This is the easiest korma recipe I have. Not too spicy, but with lots of flavor. I guess anybody who wants to try Indian food, this is a good one to start with. 1 kg chicken pieces, skinned and cut into bite sized pieces. Marinate the Chicken with a tsp of turmeric and half of chili powder and salt. Keep aside till further use. Put oil in wide frying pan and set over high heat. When hot, add dry spices. Stir and add onion paste. Add ginger garlic paste. Stir-fry for about 3 minutes. Add Yogurt, put in chopped tomatoes and fry for another minute. Put in chicken, remaining half of chili powder, salt and about 100 ml water. Bring to boil. Cover turn heat to medium and cook for 15 minutes, turning chicken pieces over now and then. Add the cashew nut paste and fry for a little while. Remove cover, add coconut milk and cook on high heat for another 7-8 minutes or until gravy is thickened. Stir gently. It was a huge hit at the party, V was very happy. Next day, my mail box was filled with mails requesting for the recipe… Hmm now that says a lot is’nt it? Hi, first time at your blog. 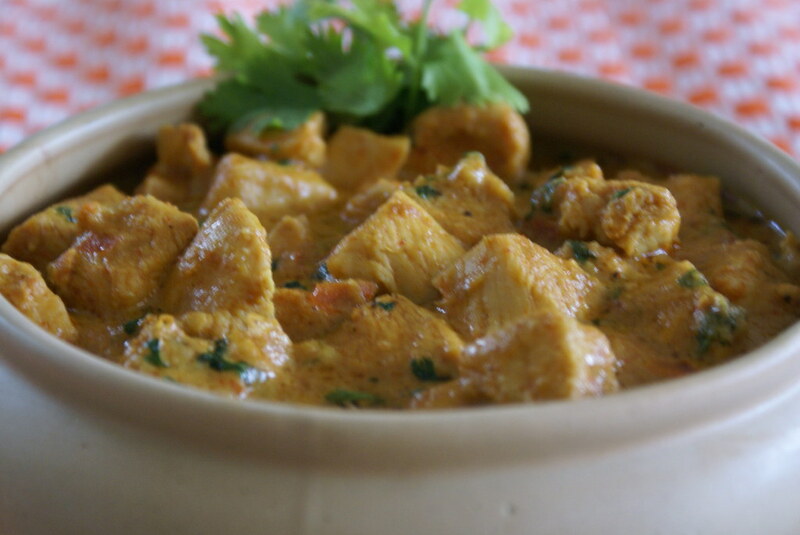 Chicken Kurma looks amazing and delicious too. Thanks for sharing. BTW thanks for dropping at my blog. I added your blog name in my blogger’s list. Srivalli… Thanks for dropping by.. hope you enjoyed ur visit to my blog. I visit your blog regularly. I just love it everytime i read it. 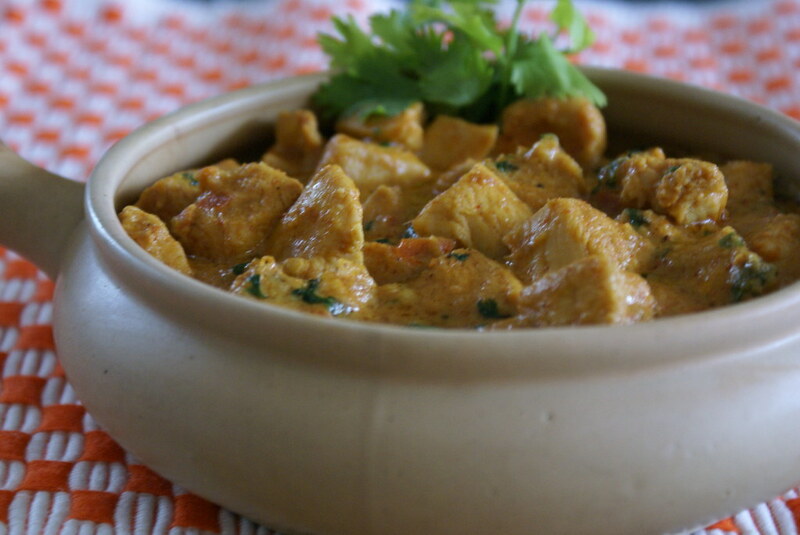 Chicken Korma looks yummy, will make it this weekend. 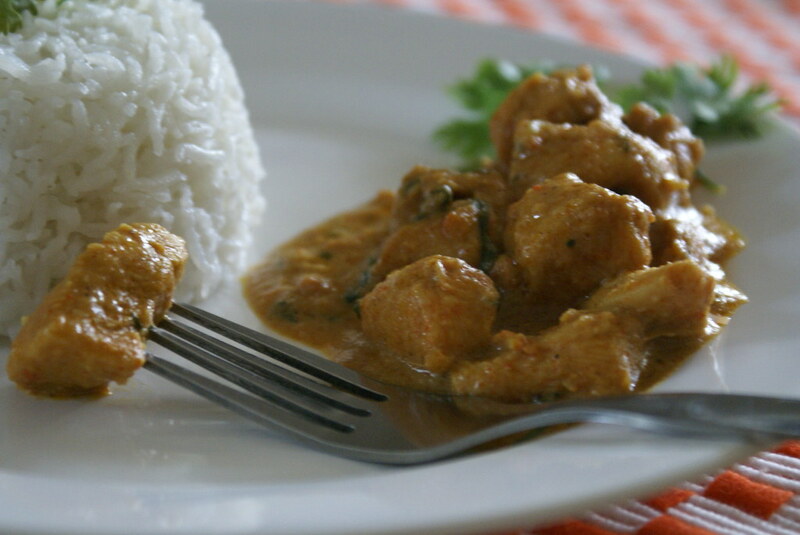 looks awesom I really enjoy chicken korma so your recipe is perfect!